July and August definitely seem to be the months for big parties, don’t they? It’s weddings and birthdays a-go-go for us at the moment. Don’t get me wrong, I’m not complaining, I’m absolutely loving it! 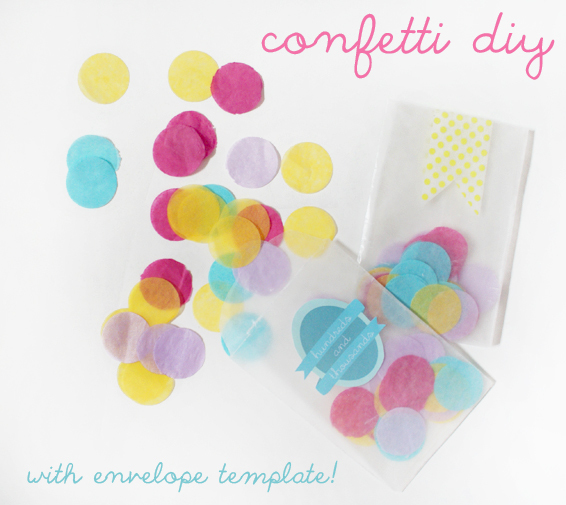 This week I thought I would share how to make your own confetti – remarkably handy I’ll have you know – and a cute little envelope to go with it. Good times in a packet! 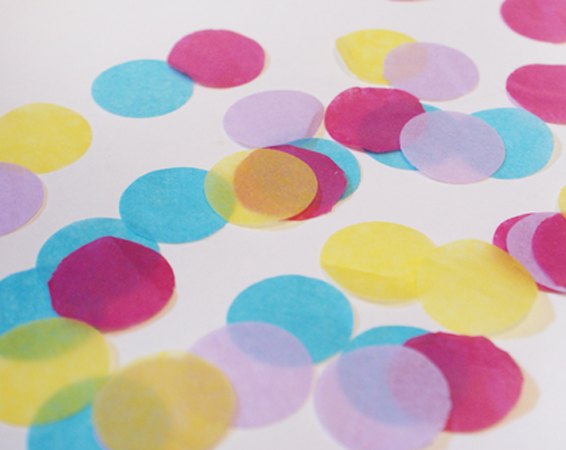 Confetti is the party accessory that’s totally underrated if you ask me. Look at how happy it is! And it’s pretty planet friendly … well, as much as anything is these days. 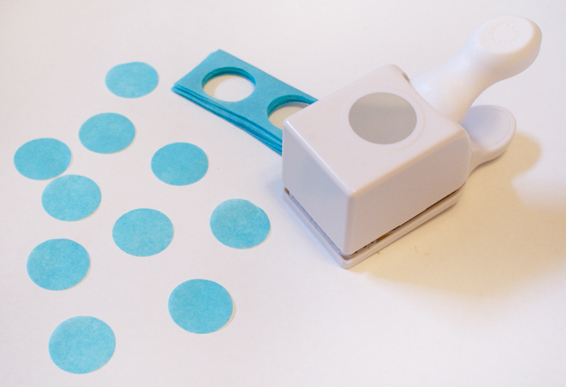 All you need is a circle punch (or hole punch if you’re wanting mini confetti!) and a bunch of cute coloured tissue paper. I’ve found the best way to make it is to fold up the tissue paper so you have several layers and punch it like that. If you did it one circle at a time you’d be there for weeks, plus I noticed my circle punch doesn’t like stupidly thin layers. Fair game! When it comes to colours, the more the merrier! Use cupcake cases to contain (and even separate), them as you go. 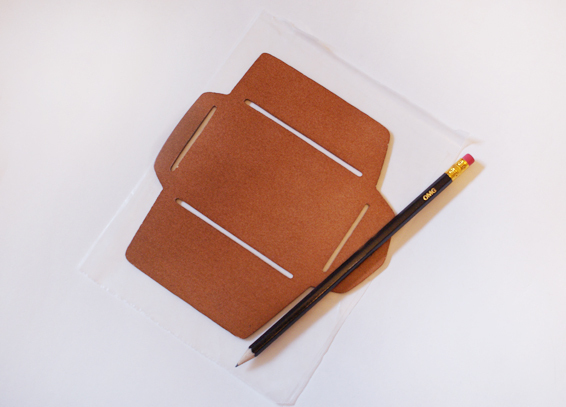 Fold the two long flaps together and stick shut with some double sided sticky tape or a thin layer of glue. Then fold up the base flap and stick shut. Lovely! If you’re feeling adventurous you can make your own cover labels or use a stamp and create some cute stickers if you want to personalise them. Another thing that looks lovely is using a wide washi tape and cutting one end like a ribbon and wrap it around the top (see first image). Not only will that seal the packet closed but it’ll finish it off beautifully. Washi tape does make everything better and these are so so cute!! I should make one for every day, celebrate life’s little victories once a day! Love it!! Thanks Becky 😀 Oooooh! 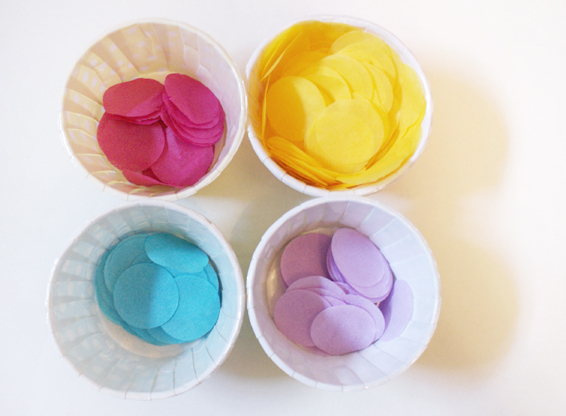 Days of the week confetti! What an amazing idea! 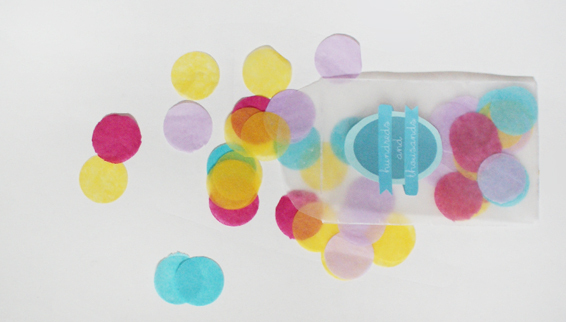 Confetti is always fun! Love the colors you used. Thanks for the printable. That will come in quite handy!